Milborne Port is a conservation area village on the Somerset/Dorset border, close to Sherborne. 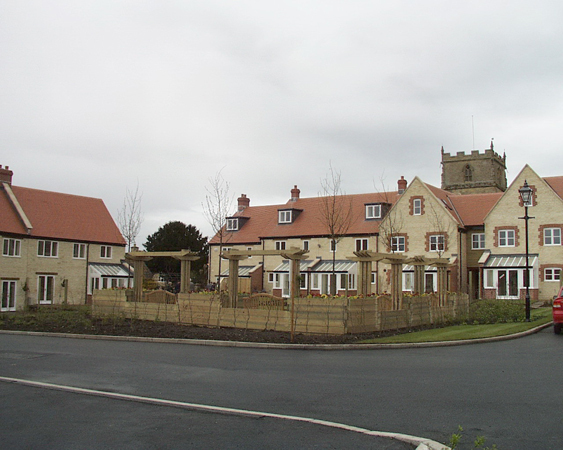 The 0.75 hectare site is adjacent to the local church. Formerly a bungalow and garden, the site sits over a Scheduled Monument, three metres below the ground lies part of a Saxon settlement. 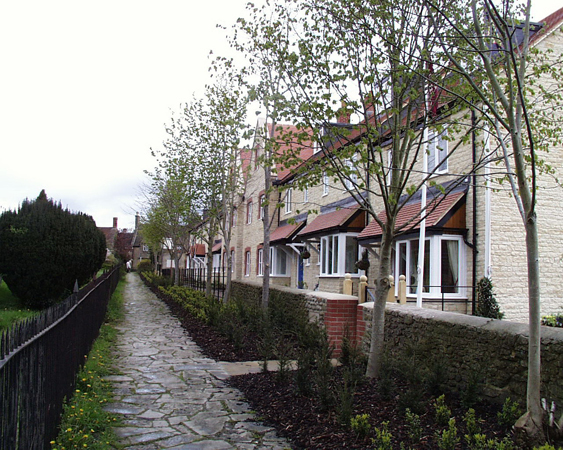 Acting for specialist residential developers Friday Street, the practice commissioned extensive archaeological excavations and recordings, the ground was closed and the design process for a high quality village residential scheme began. A six month negotiation with English Heritage led to a proposal for a pattern of 91 short bore concrete piles to be placed around the site, in locations avoiding contact with historic elements below the ground. Ground levels could not be reduced and no holes could be dug within the settlement boundary. The design solution therefore, despite a necessarily traditional appearance, had to be highly innovative to meet the extreme demands of the site. The piles were connected by a grid of beams and upon that the 14 houses were built, in traditional style and materials for this part of Somerset, given the highly sensitive location. Drains and all other services had to be suspended beneath floor slabs or set in two service trenches located in raised ground across the site. 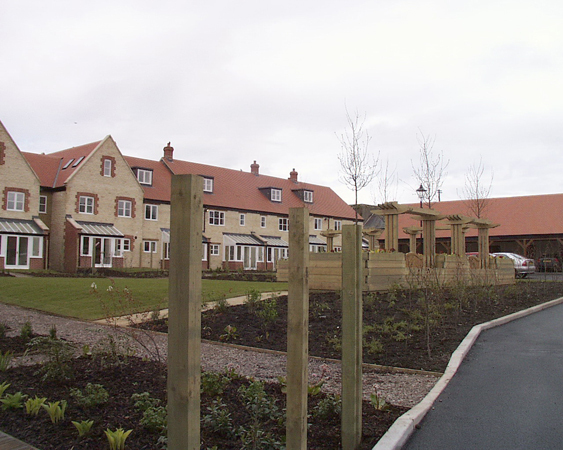 The landscape, like the buildings, is high quality and set on made up ground, especially in areas of tree planting. The development, primarily open in character and with large communal spaces, provides most units with a small and private amenity space. 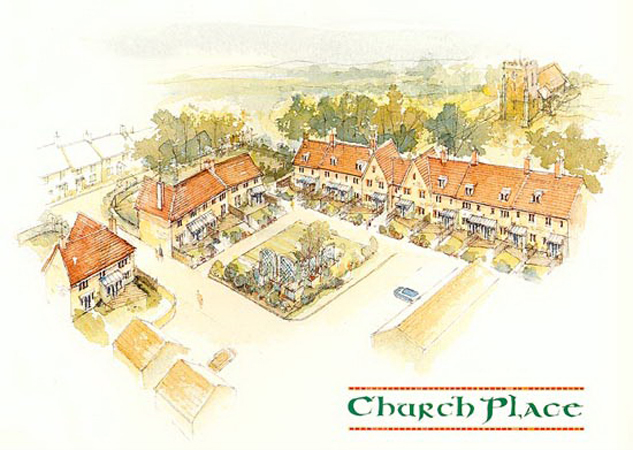 The prime view of the design is along the existing Church Place, where the new development has matured almost instantly, on the pedestrian route to the village and provides an appropriate and very attractive residential development in a most sensitive but desirable location.